Spring is in the air finally here in NJ. The temps are warming up finally. A welcome sign for me are my spring bulbs which have just broken ground. Soon we'll be outside enjoying the beautiful weather planting the vegetable garden and taking road trips. For us it means we'll be listening to our music and lots of it.I have been listening to Disney music since I was a child and with my sons as they grew. We have quite a collection of CDs. I like to listen to my Disney tunes when I walk or exercise. They're great for getting me to keep up a fast pace. We listen to them in the car and sing along which makes any trip that much more fun. 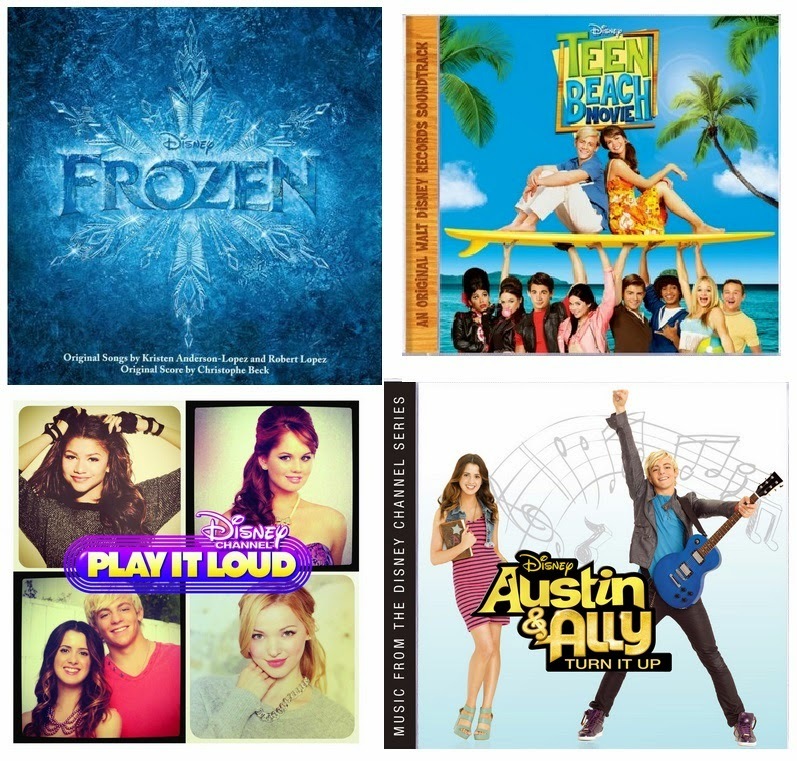 The Teen Beach Movie soundtrack, the Frozen soundtrack, the Austin & Ally (TV series) soundtrack, and Disney Channel, Play It Loud, a compilation of some of the most popular Disney Channel tunes. Enter to win a 4 pack of either the Preschool CD collection or the Teen CD collection! We enjoyed The Disney Channel CD, Teen Beach CD and Austin & Ally too and we were really excited to receive them. I can't wait to listen to all the songs on all the CDs on our next long drive to the Maryland shore next weekend. The Frozen CD was the first to go in the car as we took a ride to the store. I had downloaded it to my phone but we didn't have a CD. It is the biggest hit with Peter and I singing along at the top of our lungs! This weekend, Disney’s “Frozen” officially became the highest grossing animated film of all time, and the Platinum-certified “Frozen” soundtrack returned to the #1 spot on the Billboard 200 album chart last week for a seventh time with more than 1.6 million copies and over 5 million individual tracks sold. The album has also held the #1 position for five nonconsecutive weeks at Spotify and is approaching 110 million streams worldwide. The Oscar®-winning song “Let It Go” has sold over 2.6 million copies, and the film clip of the song has been viewed over 160 million times on YouTube. 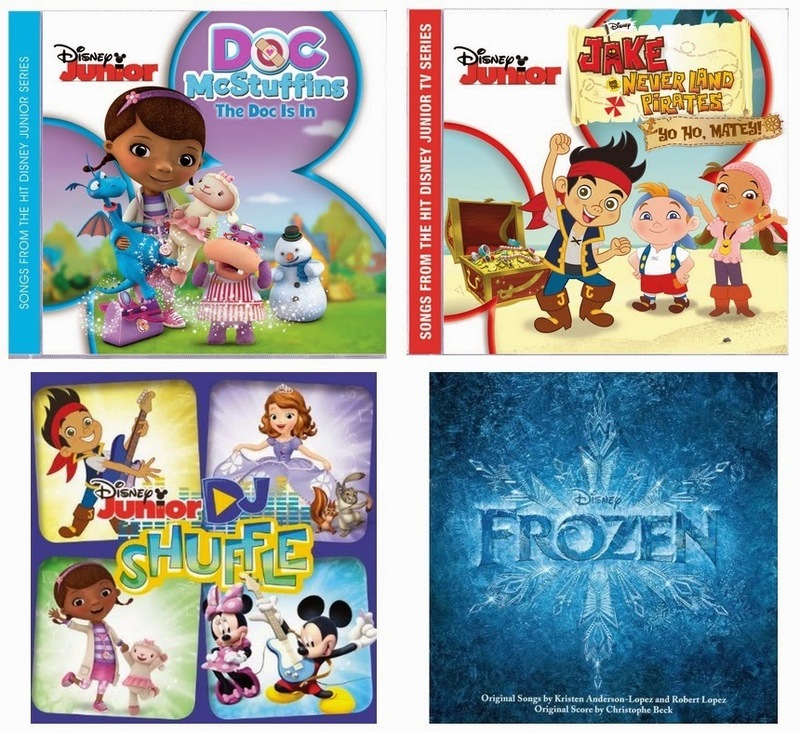 One lucky Focused on the Magic reader will receive a set of 4 Disney CDs filled with hit tunes for preschoolers! One lucky Focused on the Magic reader will receive a set of 4 Disney CDs filled with hit tunes for teens! The giveaway will run from Thursday, April 3rd until April 9, 2014 at 11:59 PM EST. 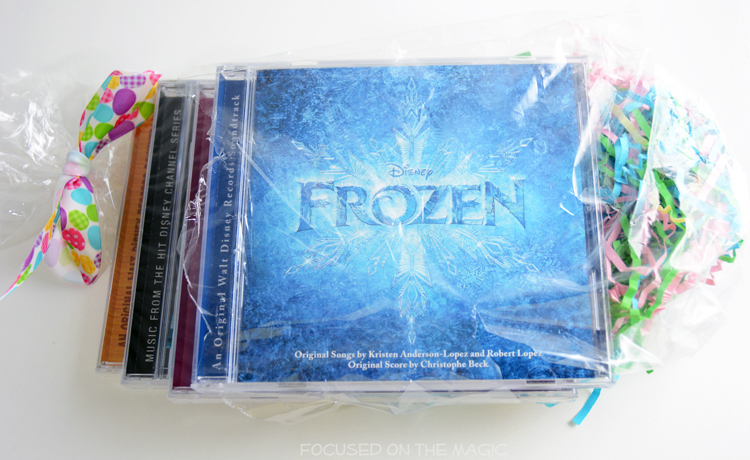 I received a complimentary set of Disney Music CDs from Walt Disney Records (via Entertainment New Media Network) and two extra sets of CDs to give away. This Giveaway is sponsored through the network by "Focused on the Magic" with prizes provided by Walt Disney Records. The views and opinions expressed herein are 100% my own.